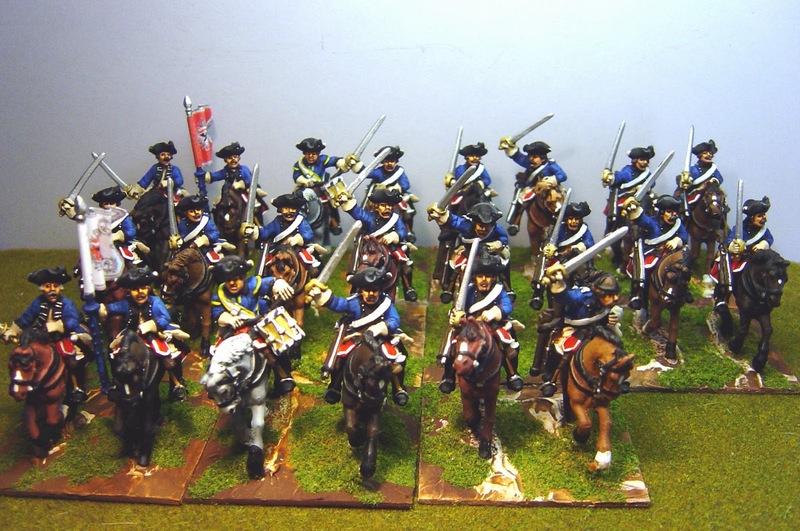 This is the third Prussian Dragoon Regiment I have painted recently and I'll do another one next week. It will be nice to return to infantry again after spending hours cleaning up Foundry horses. 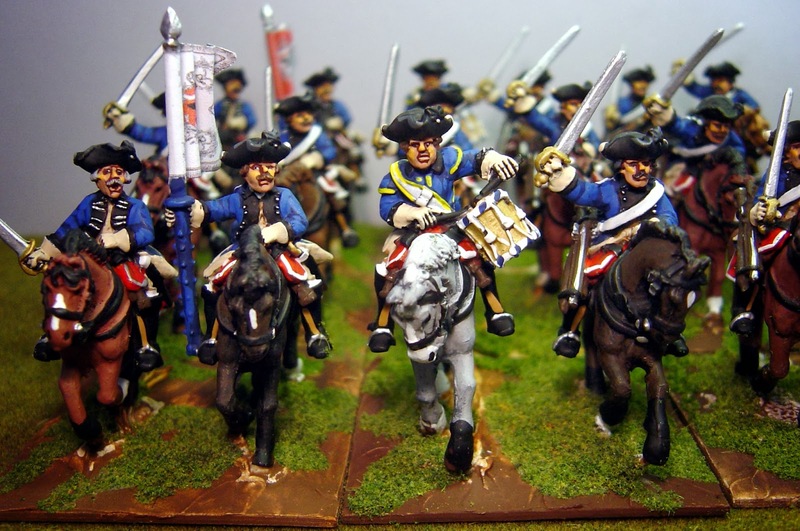 Including those hussars, I will have painted 25 squadrons of Prussian SYW cavalry. The Duke of Württemberg should be proud. Fine looking unit! Were did you get the flags from?